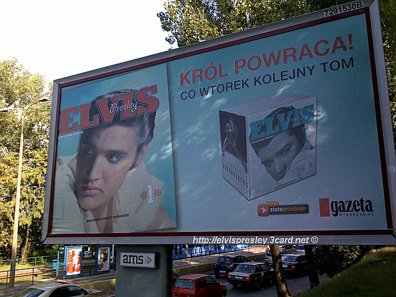 One of the most popular daily newspapers in Poland, Gazeta Wyborcza (Election Gazette), in conjunction with Radio Zlote Przeboje (Golden Hits Radio), will release a twelve volume series of Elvis books and CDs. 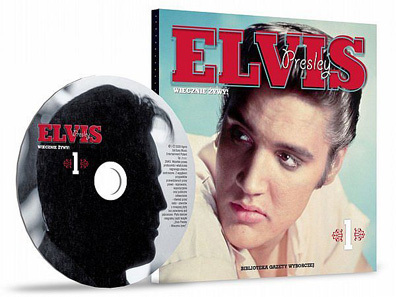 Each book will include a CD with Elvis’s songs. The first volume called Wiecznie Zywy (Alive Forever) hits the streets on Monday, August 17th. Volume 2, titled Narodziny Gwiazdy (A Star Is Born), will be released the following day, on August 18th. 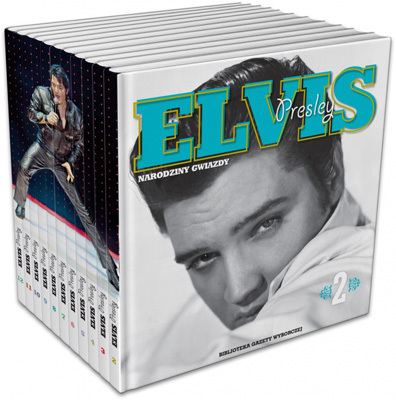 The remaining ten volumes will be issued weekly (every Tuesday) until October 27th, 2009. The set will be promoted on television and through billboards. Who is that Polish imitator on the side of the boxset?..